MR. WILLIAM HENRY HARVEY was born on April 3, 1922 to John Harvey and Mary Young Harvey in Indianapolis Indiana. He spent many fond childhood years in Georgia with his grandparents. Brother Harvey graduated from Crispus Attucks High School and promptly joined the United States Navy at age sixteen. He attended Boston University while in the Navy during the period of time before deployment in World War II. He served on the USS Sacramento also called “The Galloping Ghost.” He engaged in Pearl Harbor against the attack of Japanese aircraft and enemy planes as well as rescue and salvage operations throughout the aftermath of the battle. 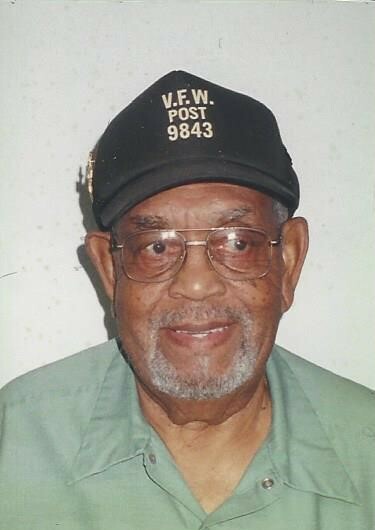 He was honorably discharged from the Navy at Great Lakes, Illinois with rank as First Class on October 29, 1945. He was one of a few remaining World War II veterans and survivors of Pearl Harbor. Brother Harvey accepted Christ at an early age and was baptized. He often talked about the memories of his lifelong church, Allen Chapel A.M.E. Church. At a young age during the late 1920s, he recalled requiring mules to dig the foundation of the church. At Allen Chapel, he served faithfully as a trustee and was elected several consecutive years. He was also a Sunday School Teacher. He helped with everything asked of him. No one could ever ask him for too much regarding Allen Chapel A.M.E., his church that he loved. Brother Harvey owned and operated a seven fleet trucking company. He was first to consider diesel trucks for use in the inner-city. He devised a way to increase the efficiency of diesel but never patented it. As an environmentalist, entrepreneur and employer, he used his trucking company to haul refuse in the city and was a successful businessman. Mr. William Henry Harvey departed this life on Tuesday, January 2, 2019 at the age of 96. On that day, he was joyful and greeted everyone that he came in contact with the joy of Jesus. He was preceded in death by his parents, John and Mary Harvey; his wife, Arletta Harvey; his siblings and one son, William Harvey, Jr.